Why Use a Tangential Map? 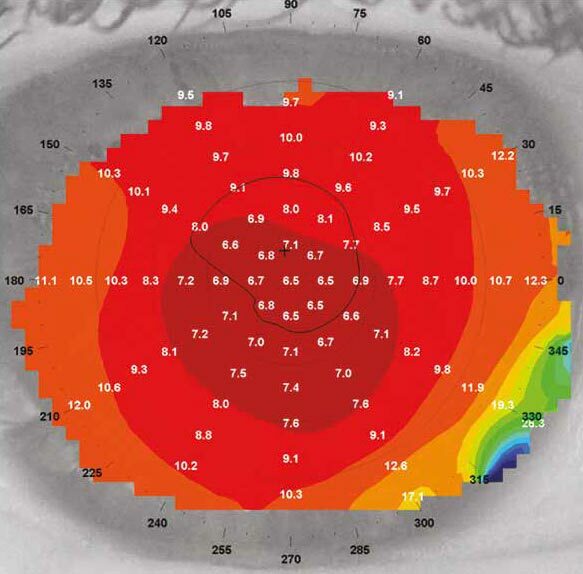 Tangential maps give better information about corneal shape than Axial (Sagittal) maps, especially in the area of the peripheral cornea. For this reason, the First Choice Lens Calculation will not work well with Axial maps. 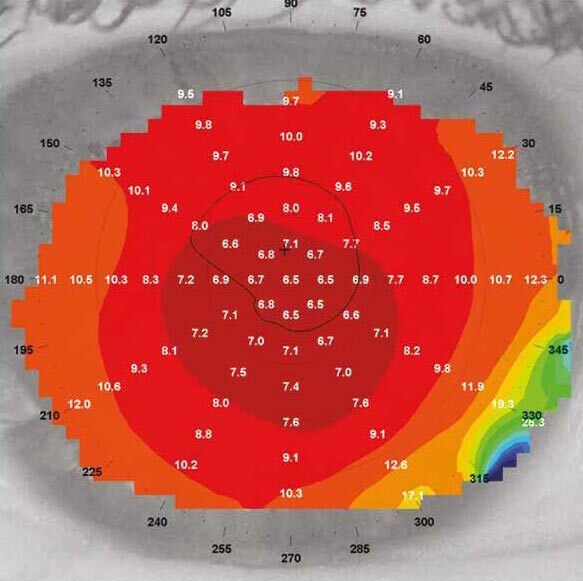 Below is an example of a Tangential map for a normal eye. Most machines use a drop-down box from which you can choose the ‘Tangential’ option (sometimes known as ‘Instantaneous’). It is best if you use curvature, in mm, rather than power in Dioptres. These are numerical values within the calculation depending on the Central Sim K Readings of the cornea. Use CF of 1.30 if both Central Sim Ks are under 7.00. Use CF of 0.80 if one or both Central Sim Ks are equal to or over 7.00.
give much better detail than an Absolute map and makes it easier to estimate the curvature at any given point. Finally, set the map to show polar grid, so that you can identify the 5mm ring, and ensure it shows numerical values. For these cases, we use the Flat Central Sim K and the Steepest K Reading on the 5mm ring. Why do we use this rule? • Cornea is reasonably symmetrical around the central point on the 7mm rings. • The steepest area is mainly in the centre. 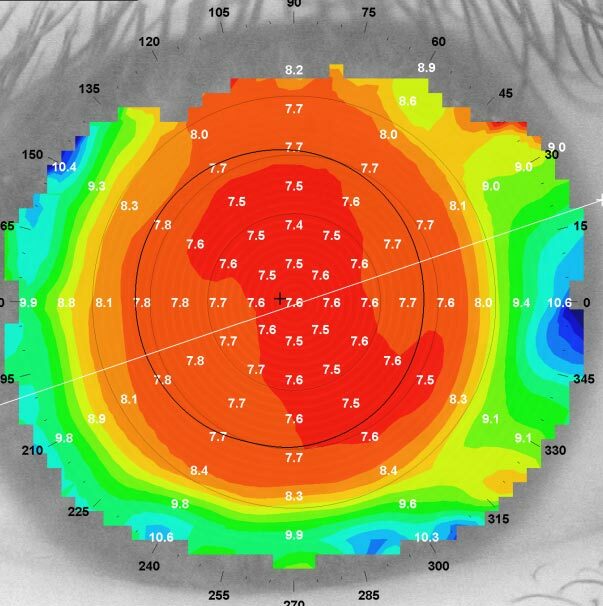 • Cornea is not symmetrical around the central point on the 7mm rings. area between the 5mm and 7mm rings inferiorly.